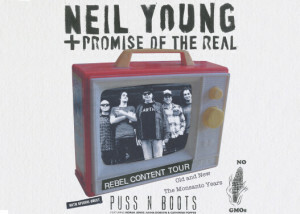 The word is out that Neil Young is putting out a new album called “The Monsanto Years,” and will be sharing songs from the album on his new tour with the Nelson brothers. 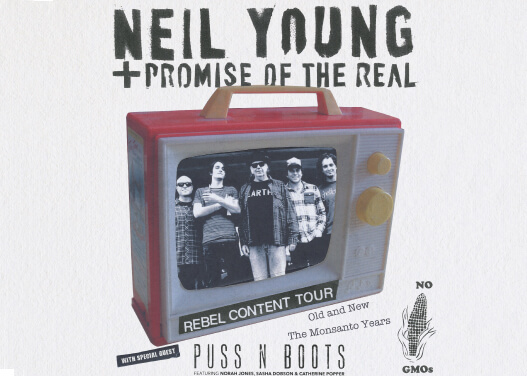 Rolling Stone is reporting that Young is teaming up with up-and-coming band Promise of the Real to record an album called “The Monsanto Years,” which will be full of songs critical of the company. Young first teased the possibility that he would write an album called “The Monsanto Years” in January, but it seemed, at first, to be a joke, according to The Huffington Post. 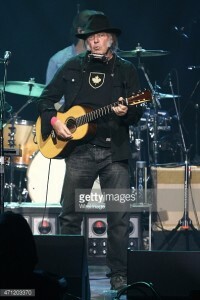 The album will gain some anti-corporate credibility from two of the members of Promise of the Real: Lukas and Micah Nelson, the sons of Willie Nelson. Nelson père is an outspoken critic of Monsanto and other large agribusinesses, which have been accused of putting profits ahead of human health and environmental sustainability in the development of new crop varieties and agricultural chemicals. Reached by The Huffington Post, Monsanto didn’t immediately provide comment on Young’s new album. 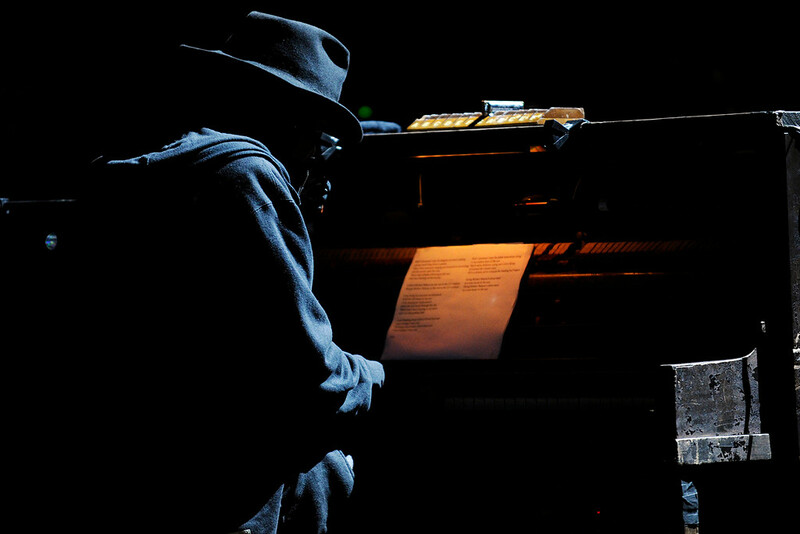 Review of first Chicago show. 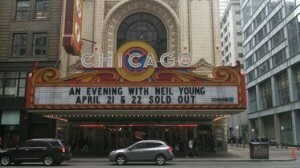 Neil plays again tonight, Tuesday April 22. More reviews from Human Highway roving reporter to come. 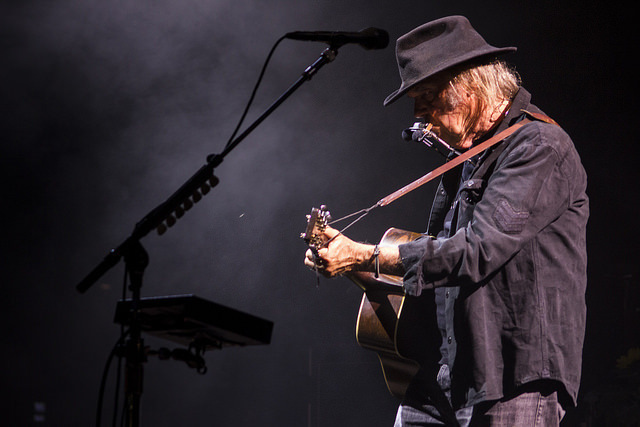 “His eyes shaded by a black fedora, Neil Young strapped on a guitar that once belonged to Hank Williams Sr. and leaned in, as if ready to whisper in someone’s ear.